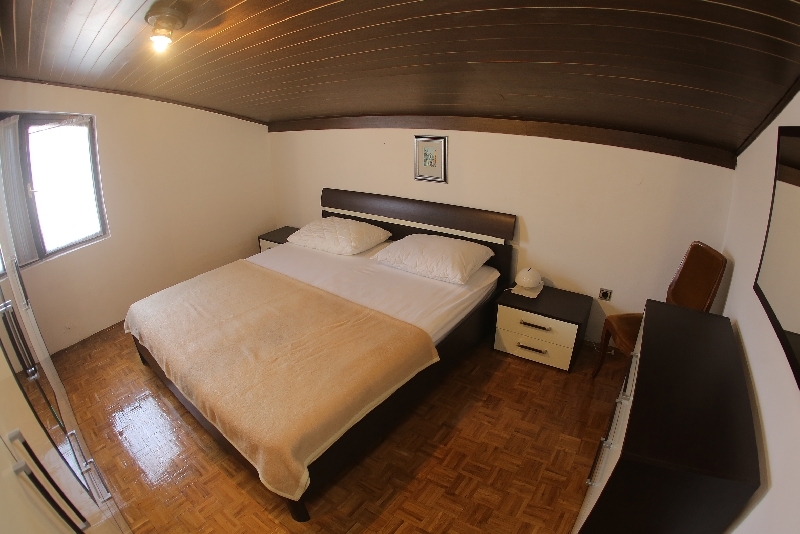 The best choice for the adventuring, recreation-loving, renaissance people. Little of everything for everyone. 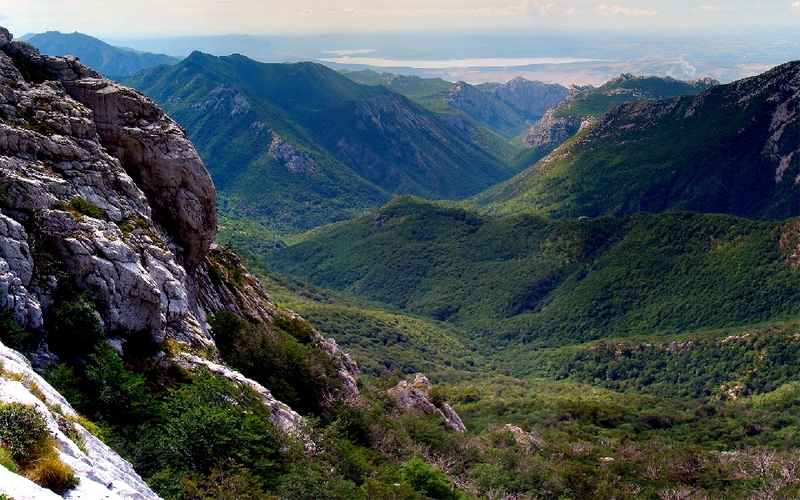 This adventuring package includes majority of less known but good attractions in Zadar region. Not included but viable possibilities give good options to those that love little more adrenalin surges. 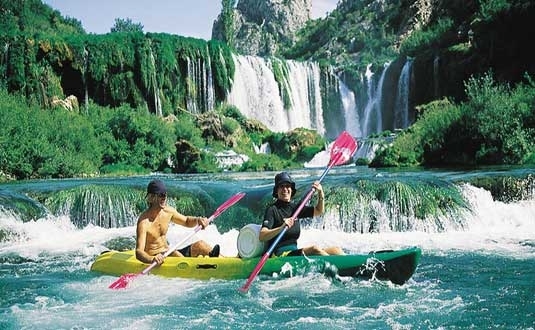 Multi – Adventure Trip - Sailing, biking, hiking, kayak/rafting, sightseeing. 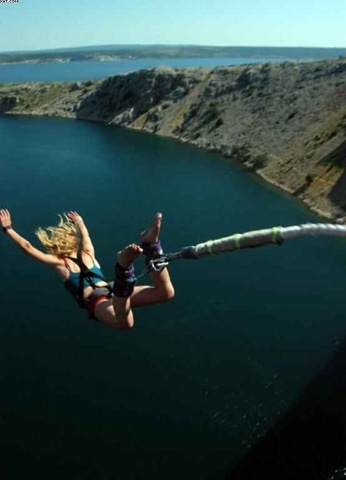 Optional - rock climbing, bungee jumping, horse riding, carting, paintball. 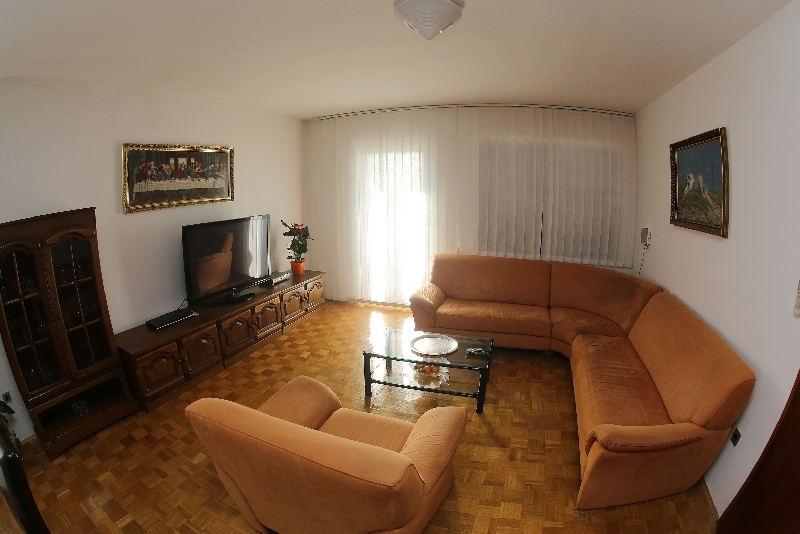 Van transport from airport: Zadar 30 min. min. 2 persons. After settling into your accommodation, we will meet in the restaurant for an informal welcome drink and dinner. 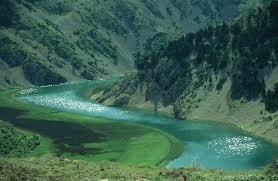 We will have the chance to discuss the upcoming itinerary and get to know our guides and fellow travelers. After breakfast, we cycle to Zadar. After a coffee break, we cross the Zadar channel to Preko on Ugljan Island with ferry. From there we cycle to Tkon on the island of Pasman. Along the east coast, we experience the beautiful ocean and mainland views. The trails lead to the many islands’ peaks and the west coast. After a memorable day, several refreshing breaks, hidden coves and beautiful beaches in the evening the ferry picks us up from Tkon and takes us to Biograd where a bus is waiting to take us home. As you know, the water level activities depend on rain, snow, but usually rafting season ends around 15th of May and begins again on 15th of September. ​When the level of the water becomes really low we can only go with kayaks, since raft itself would get stuck on every obstacle. Each participant will get the following equipment; neoprene suit, protective helmet, life jacket and as for your personal equipment, it is necessary to have a bathing suit and an extra T-shirt. On the way back we cross the Maslenica bridge, where you can try Bungee jumping. Height of the bridge is 55 metres plus one metre fence, which means, that the jump takes part from the hight of 56 metres (not in price – 50 €, Video footage of the jump – 10 €). OPTIONAL: On the climbing area, you can stop and get rock climbing lessons, intro for beginners. Learn how to belay, tie knots, and use equipment for climbing. 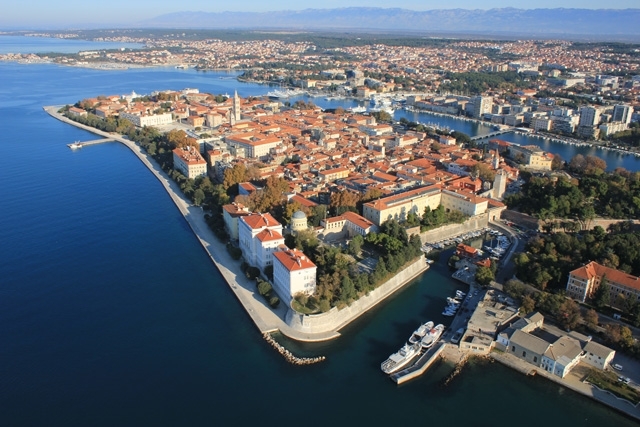 You will feel the pulse of Zadar as you hear an interesting story or two about the city. We will give you an unforgettable tour of Zadar and step back with you into ancient times, silently witnessed by Zadar's Roman forum. We will tell you the story of St. Donatus, whose church is a symbol of the city, and take a walk along the popular Kalelarga street. As a special treat at the end of the tour, we will listen to the unique sound of the sea organ with a view of the most beautiful sunset in the world. Let's unlock the secrets of the city where classical antiquity, Romanesque, the Venetian spirit, and contemporary architecture harmoniously intertwine. 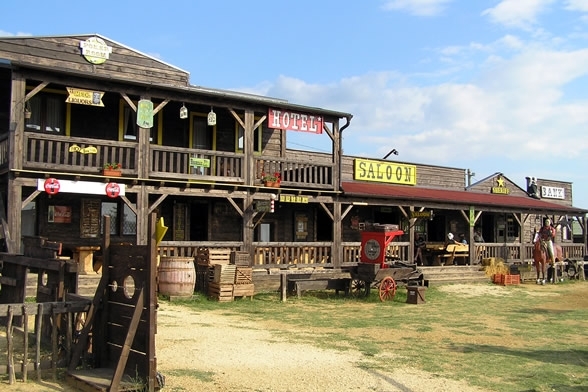 After breakfast we drive to the north where a real cowboy city has emerged in Vrsi near Nin - Buffalo Bill City. There you can also see an unusual Coca-Cola Museum. OPTIONAL – horse riding, carting, steakhouse, western shows. The road leads us to Nin. It is the oldest Croatian royal town. The smallest cathedral in the world and the coronation Church of St. Nicholas. 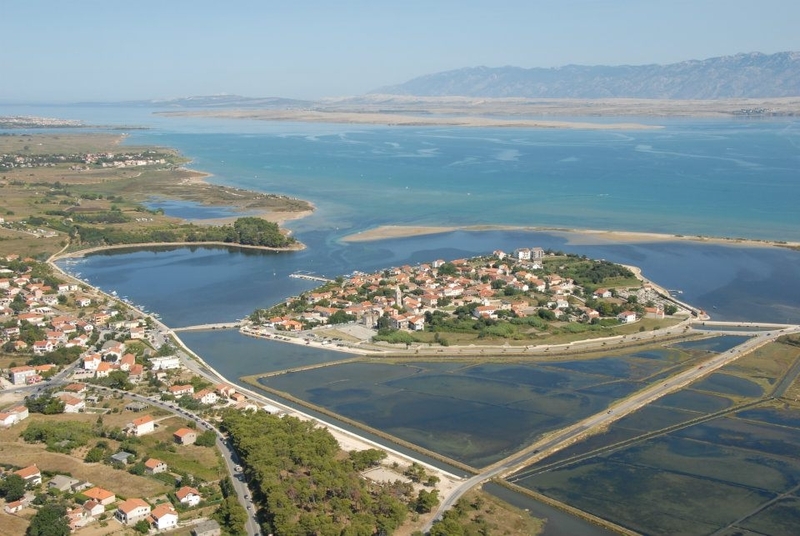 After seeing the town's sights, we will visit the famous salt pans of Nin, there is a unique Museum of salt and as a special way of remembering this trip, you can buy kitchen salt, bath salt, special flower salt and other souvenirs from the salt pan of Nin. Feel that the wind, the sails and the sea can provide a unique satisfaction, a satisfaction that cannot be described by words, but needs to be experienced in person. 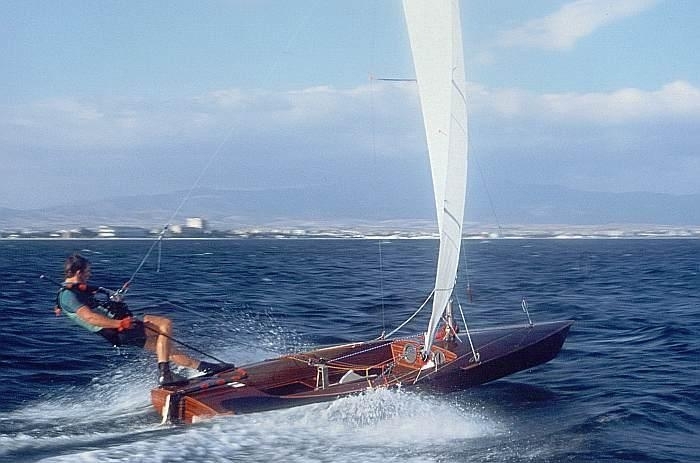 Maybe after that you decide to come on our seven-day school of sailing (like many others before). Learning the basic sailing skills is divided into theoretical and practical part, adapting to the wind, the sea and to life on a sailboat, learning the basic techniques of sailing and understanding the basics of nautical conduct at sea. Depart Kozino for the airport and flight home. You are welcome to schedule your homeward transport for any time. If you decide to spend more time in Croatia, our agency will be happy to recommend other beautiful places to visit. You can also choose our second offer, another 8 days trip with boat & bike around central Dalmatian islands or Dubrovnik area. In combination with another boat & bike, or Hotel & bike tour, you get a discount of 50 euro per person for the second trip. 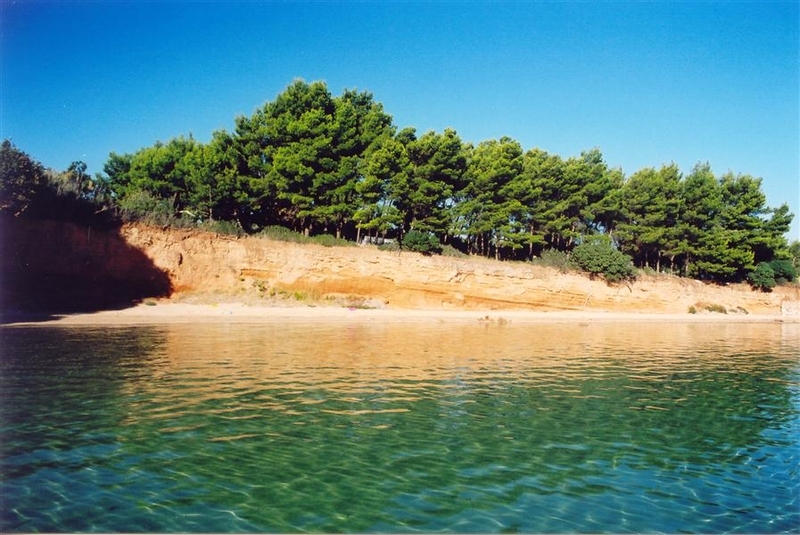 Half way between Zadar and Nin surrounded with beautiful old Mediterranean pine woods there is Kozino. 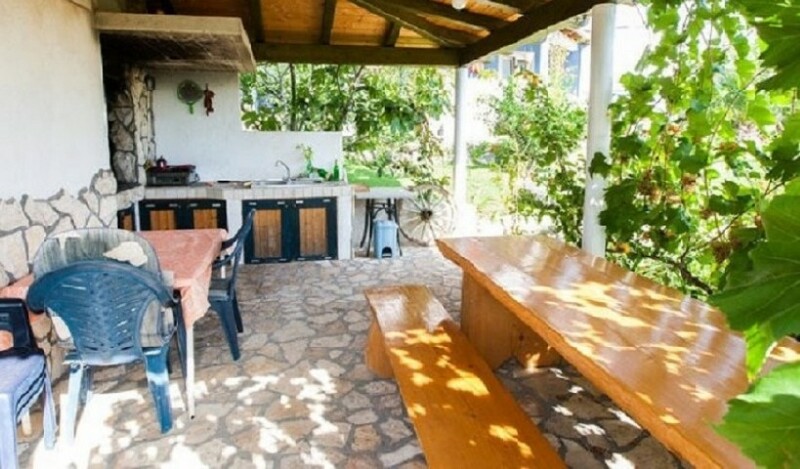 It is a place with numerous modern villas and apartments, situated just 5 km to the west of Zadar, and it is an ideal destination for tourists looking for quiet in a little place of a gentle and friendly atmosphere. Luton apartment - 4 Completely equipped two-bedroom Apartments and 1 one bedroom apartment, only 100m from the beach, with air-condition, a kitchen, a living room with couch, big terrace which have a view of the sea, parking place, grill in the garden with a kitchenette and a terrace and a swimming pool in the house garden. 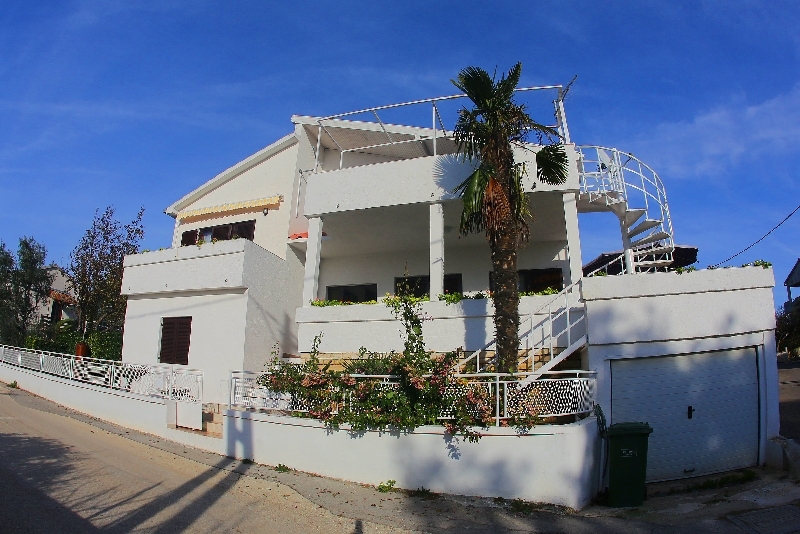 Maria house - Completely equipped villa with 7 bedrooms (5 double beds, 4 single beds). 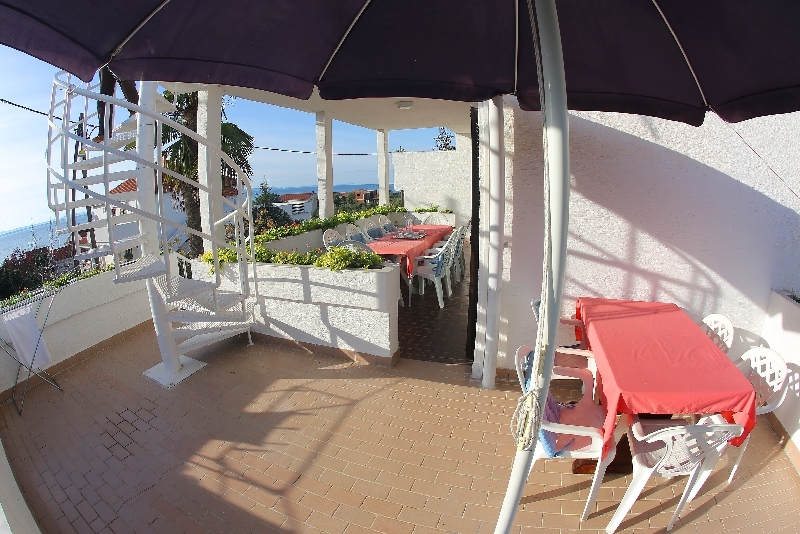 4 bathrooms, kitchen, a living room, terraces with sea view, parking place. 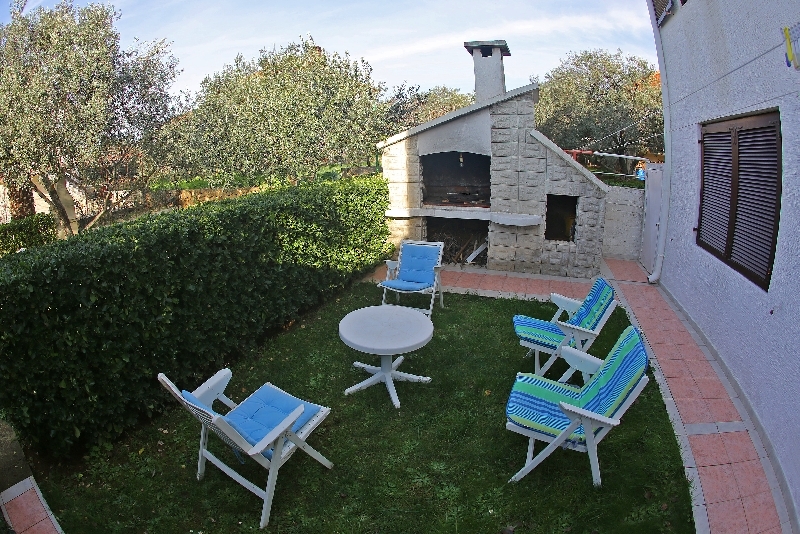 Located 100m from the sea.